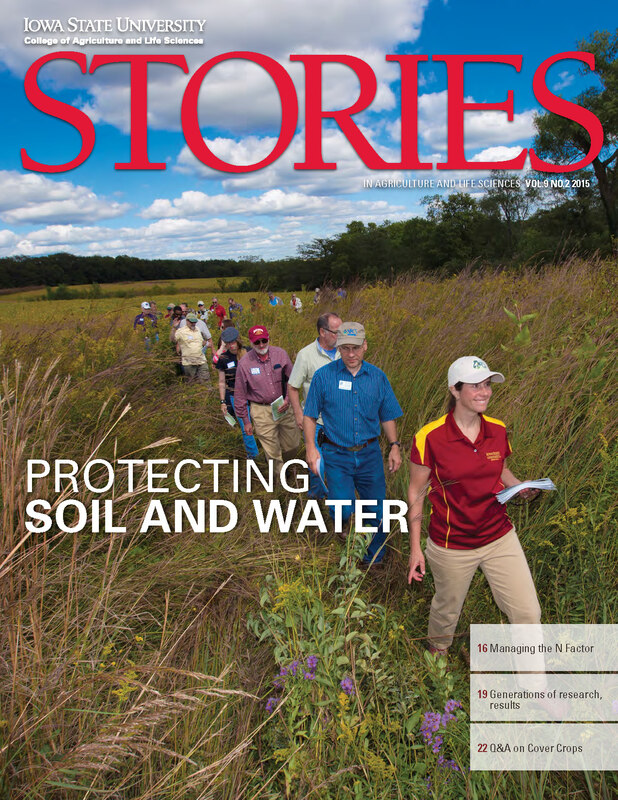 AMES, Iowa – Research and extension on soil and water are featured in the most recent issue of Iowa State University’s College of Agriculture and Life Sciences alumni magazine. STORIES details science-based information on nitrate and nitrogen management, cover crops, soil conservation, success stories and more. The magazine also includes profiles of exceptional students, renowned faculty and outstanding alumni. All articles are available for publication. View STORIES online or download a PDF at http://www.stories.cals.iastate.edu. For high resolution photographs, a print copy of the magazine or more information about STORIES contact Melea Reicks Licht at (515) 294-8892 or mreicks@iastate.edu.